In a new article for ProgressOnline, Karin Smyth says we can expect to lurch from one NHS crisis to another in the next five years. Focusing on health inequalities and accountability, she argues it is time for patients to be treated as partners, not nuisances. 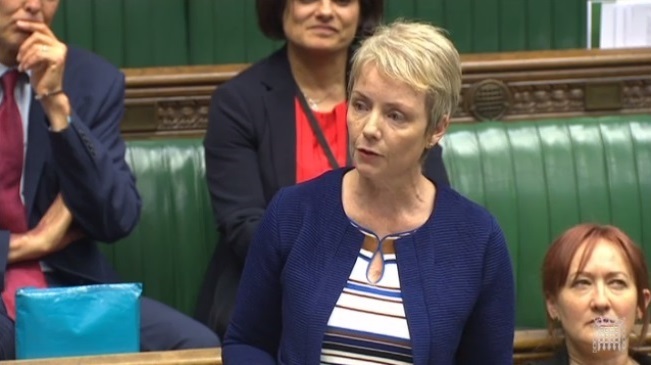 MP Karin Smyth is urging people she represents in south Bristol to promptly contact their mortgage lender if they feel an upcoming change in mortgage benefit will hit them. The Support for Mortgage Interest (SMI) scheme sees the government making interest payments – usually directly to the lender – on the first £200,000 of outstanding mortgages for those who can’t afford it (the first 100,000 for people getting Pension Credit). From 6 July, the scheme will change for the first time since October 2010, because the interest rate the government pays will drop from by half a per cent, from 3.63% to 3.12%. For someone with a £150,000, 25-year home loan, monthly payments made directly by the government would fall from £454 to £391 – a difference of £63 per month. “There has been very little publicity about this change,” said Karin Smyth “but it will affect hundreds of people living across Bristol who are struggling to pay their mortgage. “If you currently get help from the SMI scheme and are worried about being able to pay your mortgage after this change is made, the expert advice is to contact your lender as soon as possible to see if they can help. Karin Smyth MP heard how UK medical research is helping to save and improve the lives of the millions of people affected by heart disease, when she joined British Heart Foundation scientists at an event in Parliament. The Labour MP talked with researchers to learn more about the latest projects, the hope they offer people with heart conditions, and why government support is vital. “An estimated 12,760 people in Bristol South are living with heart and circulatory disease; devastating conditions which cause a quarter of all UK deaths,” said Karin Smyth. 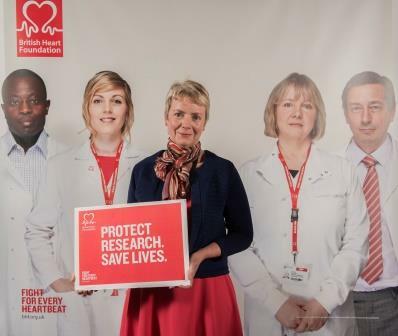 “Public support helps charities like the British Heart Foundation fund some of the world’s leading researchers, working for the next major breakthrough to help save more lives. The government’s science budget is currently protected from cuts to expenditure, but only until April 2016. Any cut to science spending would put future and current research projects that could help save more lives at serious risk. The British Heart Foundation is calling on the Government to maintain the current ring-fencing of the science budget and to commit to future increases. Bristol South MP Karin Smyth visited Hartcliffe Nursing Home to mark National Care Home Open Day. Hartcliffe Nursing Home, located in Murford Avenue, opened in 2002 on the site of a former boys’ club and currently provides nursing care and a home to 65 residents. 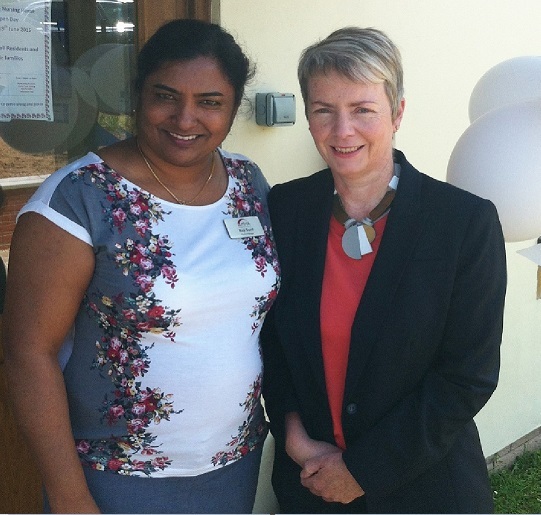 The aim of National Care Home Open Day, now in its third year, is to help connect care homes with their local communities, as well as challenge misconceptions about residential care and showcase services. “We all want children in all schools to succeed. But schools which need to improve require an environment of calm stability that enables strategic measures to be put in place that will improve the young people’s prospects. “The failure of the Bill to define a ‘coasting’ school, or the deliberate intent to keep its meaning woolly, will create the precise opposite: a climate of fear in schools. “There are many examples of schools which have improved their Ofsted judgments from ‘requires improvement’ to ‘good’ in the past two to three years: Ashton Park and St Bernadette Secondary in Bristol South are two of them. She added that her concerns about this Bill are not limited only to the impact upon schools, but on accountability and democracy too. “In Bristol South schools have for some time been working together with peer support and with very close links with parents, children and the wider communities the schools serve. This gives them the flexibility to match skills & qualifications to the local economy as well as the global one we all inhabit. Crucially it gives parents real influence to help shape the nature and ethos of the educational establishment their children attend. But this Bill effectively hands control of the very constitution of our schools to the Secretary of State. How will parents in Bristol South be able to exercise their right to influence their children’s education once so much power has been squeezed into so few hands? 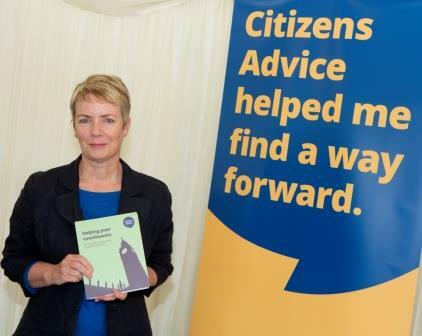 Karin Smyth thanked staff and volunteers working at the city’s Citizens Advice service for providing her Bristol South constituents with a range of support and advice. Speaking at a Parliamentary event, the Labour MP said: “Staff and volunteers at Bristol Citizens Advice provide free confidential and impartial advice to help local people from across our city resolve everyday problems and challenges by telephone and face-to-face. Bristol Citizens Advice has a drop in service at Bristol Advice Point, 1 Quay Street, BS1 2JL, on weekdays (9.30am to 1pm). Self-help computers are available there Monday to Thursday 9.30am to 4.30pm. 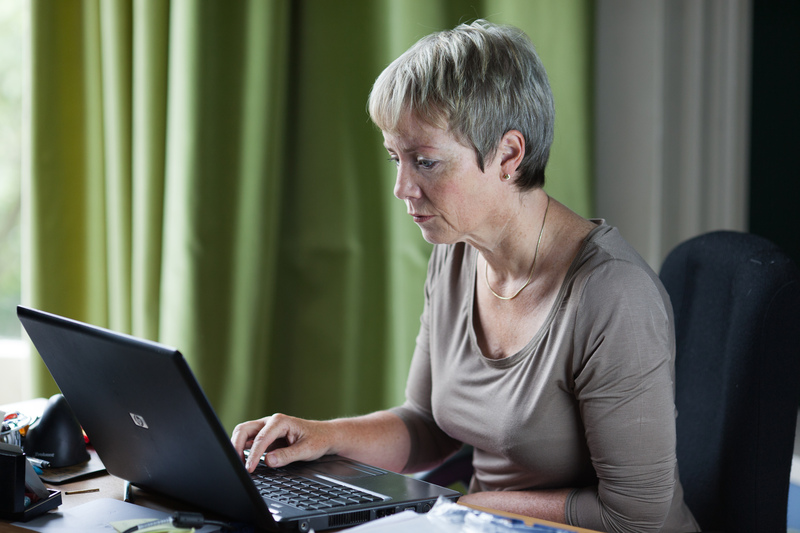 People can also call a telephone advice line weekdays 10am to 1pm, on 03444 111 444. There is also a special debt advice line operating Monday, Tuesday and Wednesday 9.30am to 4pm on 0117 946 2588. In the Labour leadership elections Karin Smyth MP has nominated Yvette Cooper and Stella Creasy as Leader and Deputy Leader respectively. Karin Smyth said: “This election sees Labour Party members selecting the person they see as the next Prime Minster. Yvette Cooper is an authoritative, respected politician who has a good command of the many varied policy briefs this position demands. She also connects well with people up and down the country, which will be an important asset leading Labour into the next general election. 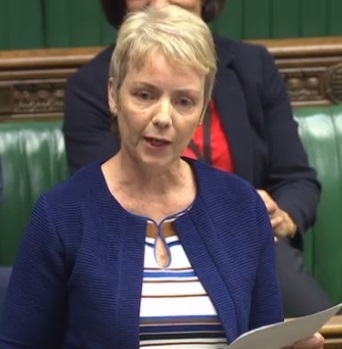 People of all ages living in south Bristol have the skills, energy and potential to create a ‘Western Powerhouse’, said Karin Smyth, Labour MP, in her maiden speech to Parliament (Monday 8 June). Pledging support for genuine efforts to devolve power to people, not structures, the Bristol South MP said: “Bristol was the only city to vote in favour of an elected mayor when given an opportunity. Bristol’s Mayor was elected by 9% Bristolians, on a turnout of 27%. Three years on – what is the lesson from this experiment for other cities? Bristolians are still waiting for improvements to transport, housing, skills and jobs. Bristol should be at the forefront of the devolution debate, not lagging behind. “Structures alone cannot transform communities. Only people can,” she added. 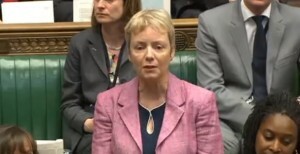 Karin Smyth’s maiden speech followed Parliamentary protocol as she paid tribute to her predecessor, Dawn Primarolo, citing the building of the south Bristol hospital and the rebuilding of the city’s secondary schools as key achievements to sit alongside her Ministerial and Deputy Speaker roles. Karin Smyth also spoke about the constituency itself: “There is a special warmth and generosity amongst south Bristol people,” she says. “They are, to use well-known local phrase, ‘gert lush’. Explaining the key economic role south Bristol has played in the past, she said “Bristol South has a proud industrial heritage”, and referred to the Bedminster coalfields and the tobacco industry that meant the constituency hosted, 40 years ago, Europe’s largest of cigarette factory, in Hartcliffe. “But as manufacturers of growth,” she said Bristolians “were too rarely rewarded or permitted to share its fruits. In fact, many paid a high cost: from lives lost in the Dean Lane pit disaster, to industrial-related illnesses, and to health effects caused by tobacco in the manufacture of which the city played such a pivotal role. “Having in the past powered economic growth, residents of Bristol are eager to play their part in doing so again,” she added. Although she has had to wait to make her Maiden Speech in the House of Commons, the first standard week of business of the new Parliament saw Bristol South MP Karin Smyth being called twice to ask questions of Government Ministers. The Labour MP had aimed to make her first Commons speech in Wednesday’s debate about devolution and growth, but so many MPs – including a host of newly elected ones – had also wanted to speak, there was insufficient time for the Speaker to call all of them. Nonetheless, she attended the whole of the five hour debate. Karin Smyth (Bristol South) (Lab): What is the Minister’s plan to make GP premises fit for the 21st century? Alistair Burt: I welcome the hon. Lady to her place. Briefly, there is a £1 billion fund to improve, over the next five years, GP surgeries and premises and access to GP practices. It is an important part of the process of improving access to GPs, which is good not only for patients but for GPs, who can feel fully engaged in their work without being overburdened. This support should certainly help.